I will readily admit that I am quite a johnny come lately when it comes to reading this book. It came out in 2006, and I am only getting around now to looking at it. I figured since I am such a fan of the magazine Allure that it really was time to look at their book. I really wanted to love this book, but it definitely fell flat for me. I’ve always enjoyed the letter from the editor page in Allure by Linda Wells, the magazine’s founding and current editor-in-chief, and once again her very short essays at the beginning of each chapter in the book were a highlight for me. And the rest of the book – well it was a mystery to me frankly. The book was so basic! I still can’t quite figure out who the book’s intended audience was and why everything in the book was so dumbed down. There are even instructions in the book on how to shave your legs! Is the intended audience for the book was a 13 year-old girl who was just starting to get interested in skincare and make-up then I would understand both the tone and content of the book, but I truly doubt that 13 year-old girls were the intended audience for the book. 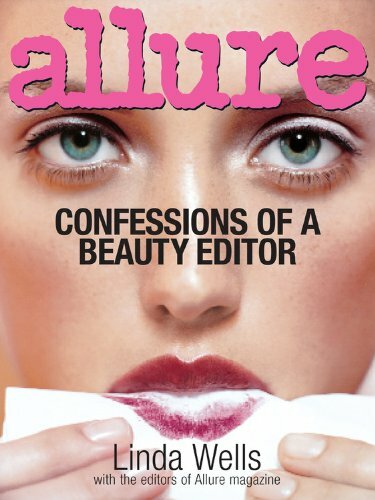 In my opinion the magazine Allure is aimed at smart and savvy women who are very interested in skincare and make-up and who definitely don’t need to be told to exfoliate their skin or taught how to properly shave their legs. I would assume that the average Allure reader really wants to know if there is a new and effective exfoliant on the market and how the latest innovations in hair removal work. So why didn’t the book contain any information like that? Was there any new and exciting information in this book? No, not really. Overall I liked the make-up section the best. Though most of the tips were old hat, I did pick up one or two new ideas on how to apply my make-up. But so much of the book was extraneous and down right dull. For instance, does anyone really need to be told that you have to apply your eyeliner before your mascara or you’ll end up with a huge mess? I think you only need to be reminded of that if you have never applied eye make-up. One more gripe for me were the photos. The models in the photos are all extremely young, but what bothered me even more were how completely airbrushed the photos were. Instead of offering up a realistic portrayal of how a woman could look if she followed the tips in the book, the photos instead offered an extremely stylized and unattainable beauty ideal. No one has such perfect skin in real life. The lighting in the photographs is amazing – no one and I will repeat no one can look that good in real life! Yes, the photos in Allure are always stylized and high fashion, not particularly realistic, but the photos in the book, in my opinion, took that aesthetic too far. Plus the photos looked really dated to me, as if they had been done in the late 1990s or early 2000 instead around 2005. The photographs were so artificial that they ended up being a huge turn-off for me. So who should you buy this book for? I suggest getting the book for your favorite niece who is just starting to be interested in skincare and make-up or for your daughter who wants to begin wearing make-up and taking care of her skin. And if you want a book at home with the most basic of information about skincare, body care, and make-up application this is the book for you.